The mission of Allegiance Gold is to help individuals protect their wealth and retirement accounts by diversifying and investing in physical precious metals. As an independent national precious metals dealer, Allegiance has a wide range of precious metal products. Allegiance Gold has the highest rating verified by third-party consumer protection agencies such as an A+ from the Better Business Bureau (BBB), AAA from the Business Consumer Alliance and a Five Star rating from TrustLink. 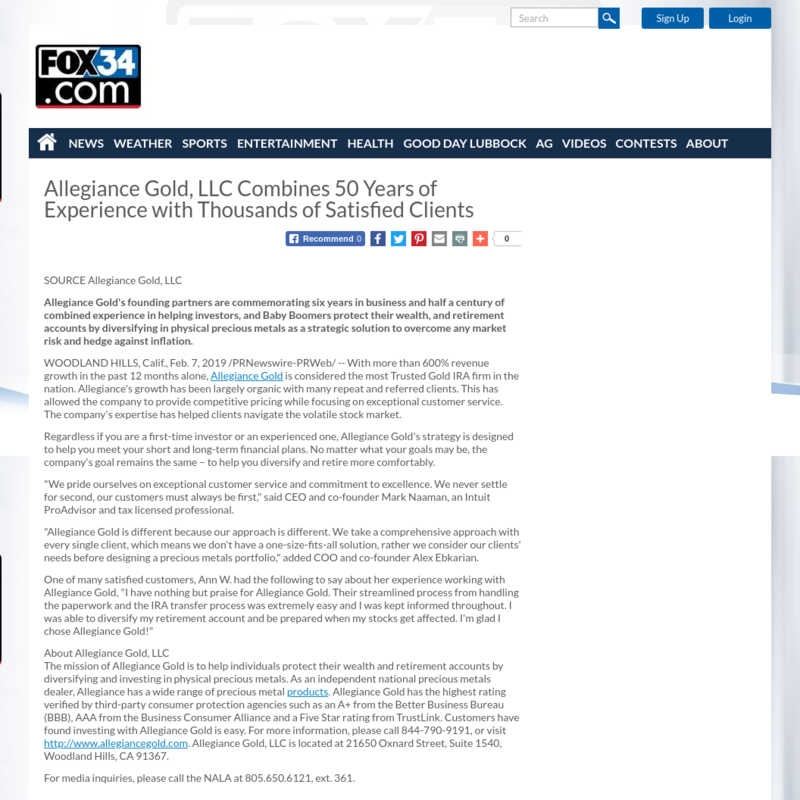 Customers have found investing with Allegiance Gold is easy.